T&M SAP client engagement and business development support assisted via SME level consultants leveraging off knowledge and contacts. 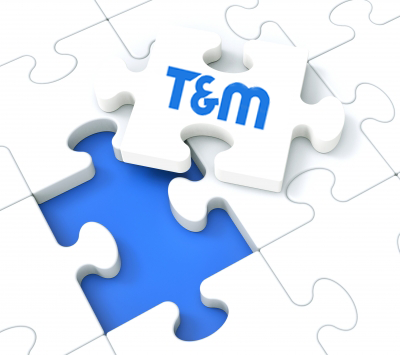 Collaboration work pack support offered on T&M solutions assisting in a clients short or long-term support needs. Flexible T&M solutions that compliment when the customer wishes to augment their development team, by off-loading some parts of their application. Full service delivery outlined and mapped at start for easy exit and full knowledge transfer so that customer maintains full control. T&M Offshore Development Centre (ODC) / Offshore Dedicated Team (ODT) operation is a perfect solution for businesses wishing to augment their software development productivity without bearing too much additional expense like hiring extra staff or investing into other resources. Software development outsource based on ODC/ODT models works well for reducing expenses and getting guaranteed results. the customer is the manager of developers and is able to manage their offshore team in the appropriate way, adjusting office hours to the convenient time zone and reporting practices. the customer does not need to worry about routine matters and waste time organising tasks like hiring qualified developers and project managers, renting an office and so on.